Written for the June print issue of Chilled Magazine. Italian chef and reality television personality, Fabio Viviani, launched his wine collection late last year in Chicago, which he appropriately named “The Fabio Viviani Wine Collection.” The collection, which includes a 2012 Cabernet Sauvignon and a 2012 Chardonnay, are now available nationwide, and have made appearances on The Talk, The Rachael Ray Show, and Home and Family. Viviani’s newest wines, just released this spring, include a white blend of Pinot Grigio and Chardonnay, and a red blend of Sangiovese, Merlot, Cabernet Sauvignon, Petite Sirah, and Syrah. So what inspired this Top Chef alum to start his own line of wine? Growing up in Florence, Italy, Viviani has been in the business of wine his entire life, and after his first sip at five-years-old, his life was forever changed. 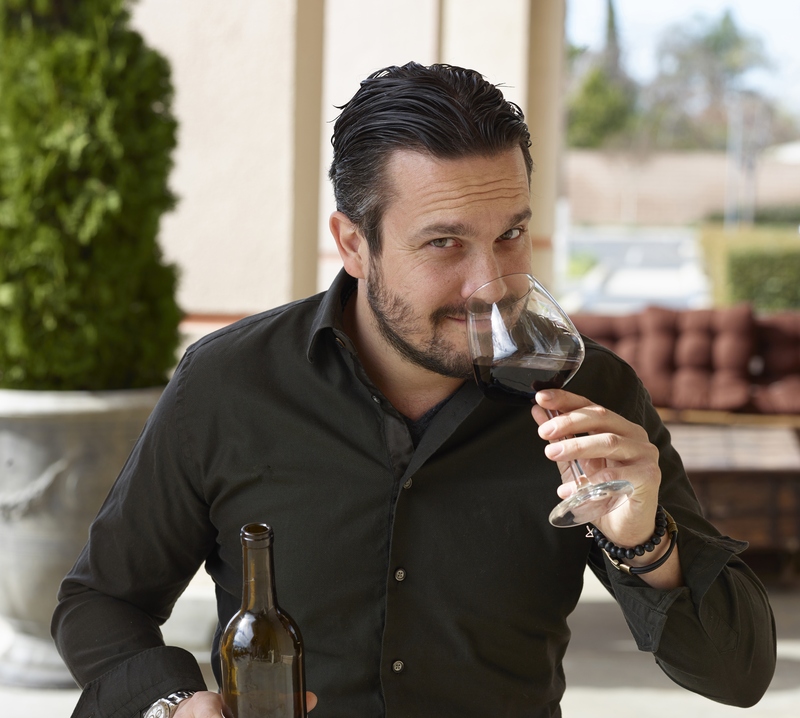 After he moved to California in 2005 (and opened up a few restaurants), he was set on creating affordable, quality wines to help spread the culture of wine in the United States. “I saw a need for a wine company in America that was on the people’s side — that can demystify the idea that wine is hard to understand, and that you need to be an expert to enjoy it,” Viviani said. As for the wines in his collection, they’re sourced from a variety of California vineyards, then are made and packaged at a vineyard in Santa Barbara County’s Santa Ynez wine country. 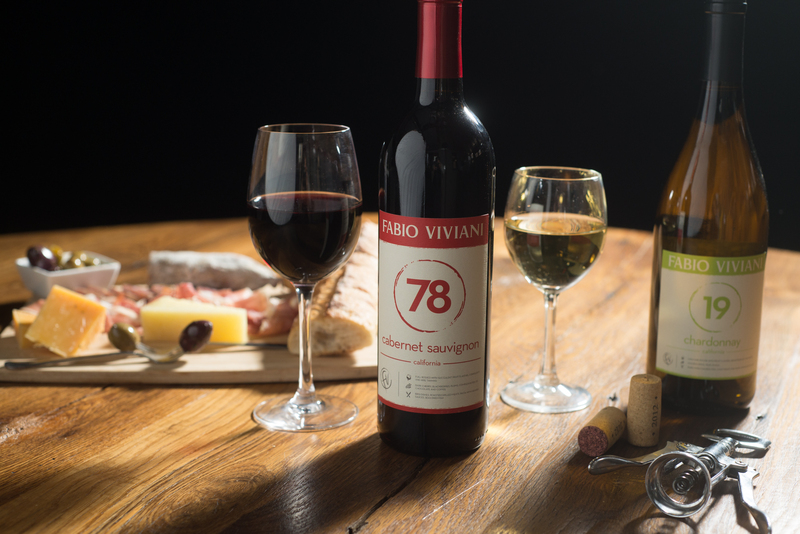 Currently the wines in The Fabio Viviani Wine Collection come in single, double, or trio sets, as well as themed assortments of six or 12 bottles. According to Viviani, he has a large collection of wine at his home, dedicated to the idea of spreading a wine culture in the United States — he’s always prepared to share a bottle with friends or family who stop by, and he hopes his customers will do the same. “We made it easy for our customers to stock up on our wines so that when they’re cooking dinner or heading to a family gathering, they’ll have an extra couple of bottles of my wine to bring along with them or open for guests,” he said. When it comes down to the enjoyment of Viviani’s wines, he made sure each one had its own style and texture, and so there’d be a wine to pair with a variety of meals. The Cabernet Sauvignon is full-bodied with succulent fruit flavors and ripe tannins, and makes a great wine for BBQ dishes, roasted and grilled meats, or pastas with heavier sauces. The Chardonnay leads with flavors of golden apple, pear, and peach, and is heightened by the oak aging process, and is best enjoyed with light dishes like chicken, fish, and pastas with white or lighter sauce. Viviani’s newest crowd-pleasers follow suit. The white blend is well-balanced with fruity aromas, crisp acidity, and pairs nicely with seafood and chicken dishes. His red blend includes moderate tannins and a balanced acidity along with notes of cherry, plum, tobacco, and spices, and fits with grilled meats and vegetables, roasted fish, and pastas with red sauces. Although Viviani’s wines can be found on his website, fabiovivianiwines.com, he has plans to distribute nationally, and stands by keeping his wines affordable, at a $13-$15 price range. “I think people will enjoy trying new kinds of wines while knowing that the quality and integrity of the wines I produce is consistent,” he said.